This long weekend, fly to Bohol to see its breathtaking sights. 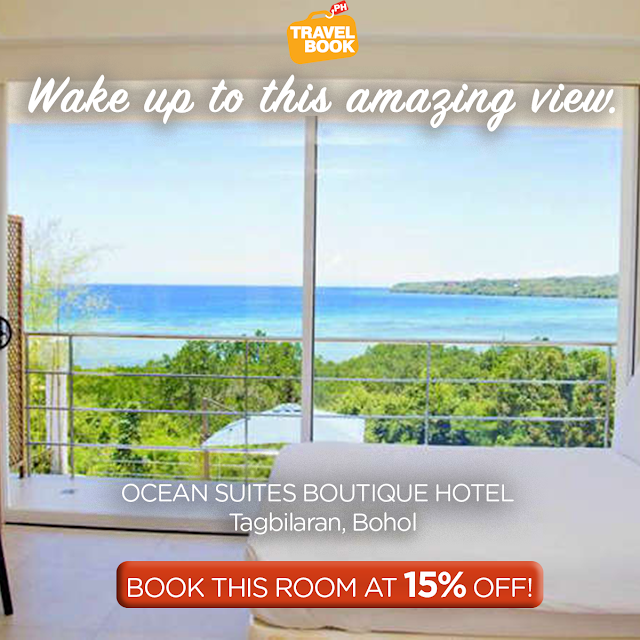 As you explore its various tourist offerings, seek comfort at Ocean Suites Boutique Hotel in Tagbilaran. This hotel will not only offer you a homey feel, but also a gorgeous view as well from its Deluxe Room. Book now to get this room at its discounted rate of 15% off. And for a hassle-free payment option, choose Pay At Hotel, No Credit Card Needed. Simply book your room now and just pay at the hotel upon check-in. Why Choose TravelBook.ph among others? TravelBook.ph offers you the best price for all hotels. Earn rewards points which can be used for your next booking. Get your ultimate travel experience through TravelBook.ph! Whether you choose to ask your questions in English or Filipino, TravelBook.ph's call center agents are on standby 24/7 to answer them, be it about your hotel bookings, nearby spots, or about TravelBook.ph's other services like tours and transfers. When you book through TravelBook.ph, you have a lot of options on how to pay for your booking; via credit card, bank deposit, over the counter (OTC) banking, or bayad centers, TravelBook.ph also introduces the Pay at Hotel, No Credit Card Needed payment option. Pay your booking at the hotel itself when you check in, no credit card needed.